KYIV, UKRAINE - JULY, 2015: Skydiver in free fall opening parachute in an accelerated free fall (AFF course) lessons in drop zone Chayka, Kyiv region. hd00:39MEDITERRANEAN SEA, SEA/LYBIA-ITALY – OCT 25: Norwegian police of FRONTEX agency, rescues a rubber boat on 2016 mediterranean sea. hd00:18climber firmly grabs his hand over the edge of the rock and rises above . he is wearing a heavy backpack, equipment, helmet and goggles. 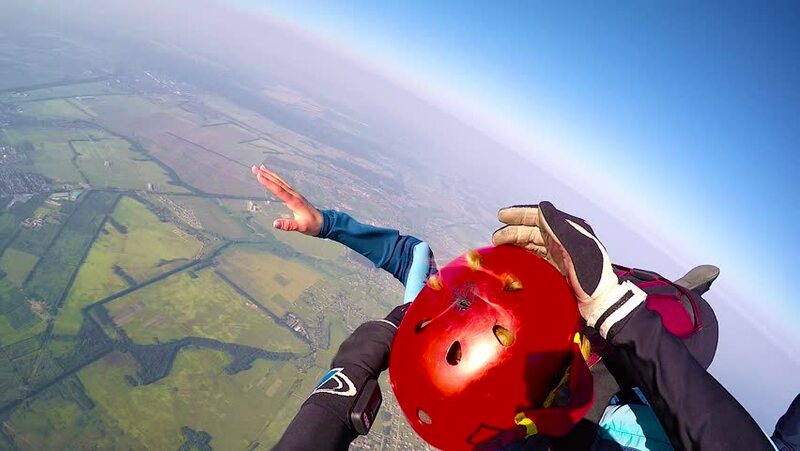 hd00:15KYIV, UKRAINE - MAY, 2015: Skydiver in accelerated free fall (AFF course) lessons in drop zone Chayka, Kyiv region. 4k00:34A woman skier at a ski resort comes up to the camera and removes the ski goggles. 4k00:13Portrait of a beautiful young girl having fun on the rides at the Luna Park. Teenager with blonde hair rides an attraction. Sunset over the city. Concept: Happiness, freedom, fun.